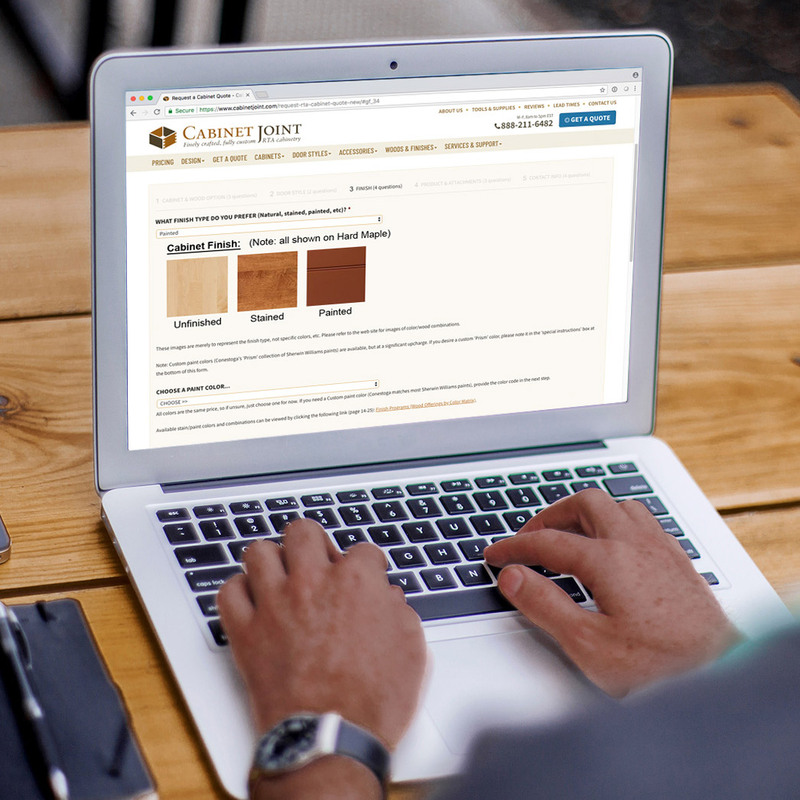 At Conestoga’s request, we price each job to ensure accuracy for our customer. However, you can get an approximate price using this page as a starting point. We will match the price you get from any other Conestoga reseller whenever we can! 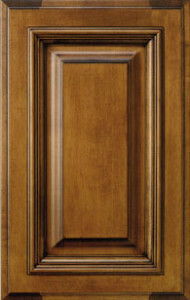 Conestoga’s built-to-order, American made cabinets are not meant to compete with imported cabinets. 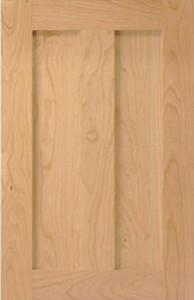 Compare against semi/fully custom cabinetry and you will find Conestoga to be 20-40% less than cabinets found at big box stores or showrooms. 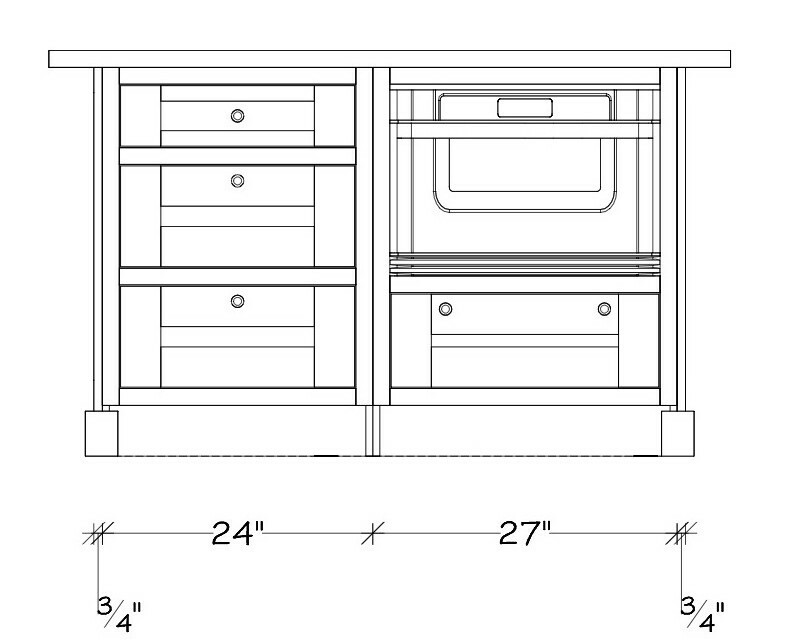 First, keep in mind that the linear foot price you might get for the 10 x 10 kitchen shown below at a big box store would not include the island, trim molding, or add-ons like rollouts or trash pullouts. Therefore it is not going to be an accurate comparison. We include these items in order to give you a realistic price. Using the drop-down menu or slider arrows below, navigate the different types of kitchens to get an idea of what styles you like. 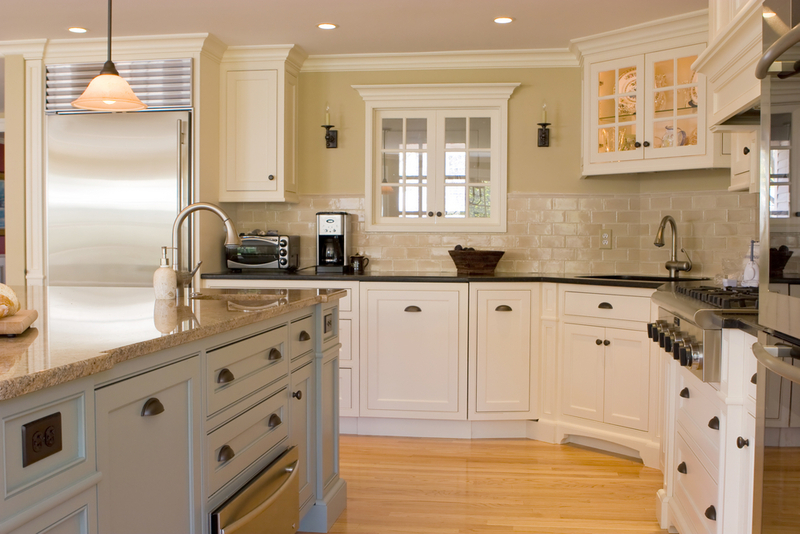 Once you locate one that seems to best fit your tastes, look at the Good/Better/Best options below the kitchen image. These are just a few of the literally hundreds of options available to you. You can even get the cabinets unfinished if you like. 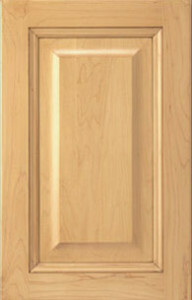 We priced a sample kitchen in full 1-1/4″ overlay. 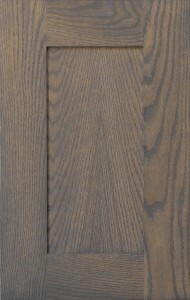 Inset, beaded inset, and partial 1/2″ overlay are also available. 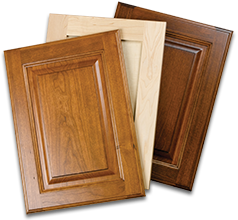 As you work good/better/best options, the door style, wood, hardware, cabinet material and other options/accessories change as well. The goal here is to show how the price is affected by these options. 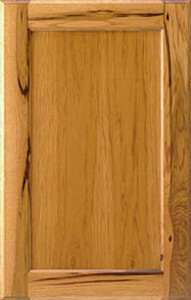 Remember, your final pricing will vary based on your chosen cabinets, sizes, and options. The pricing shown is only an example and is subject to change dependent on Conestoga’s pricing. 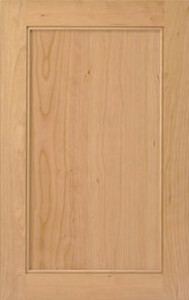 Be sure to get a free quote for your project. Traditional style incorporates design elements from several centuries and combines both elegance and easy, day to day comfort. It is stylish without feeling overbearing. Please note, all pricing assumes full overlay. Partial overlay will save very little (1–2% generally). 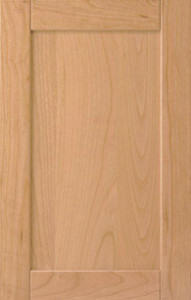 Inset and beaded inset generally adds about 5% and requires Blum soft close hinges and slides. Price assumes no glazed finish. 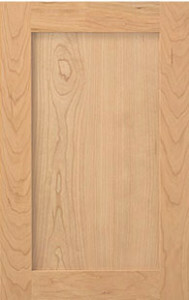 Glazing generally adds ~ 8–10%. 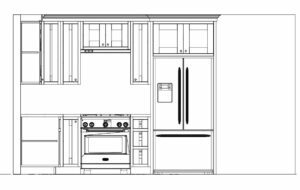 Options included: Standard #619 crown molding, plywood island back panel, glass prepared doors flanking sink each with upgrade matching stained interiors, double trash pull-out right of sink, lazy susan’s, filler pull-out rack left of sink. 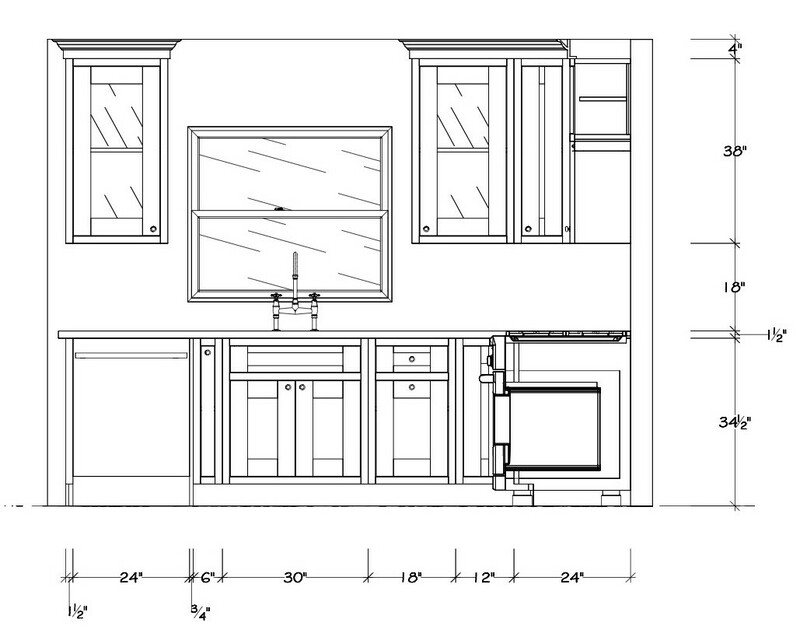 Options included: Standard #24 crown molding, glass prepared doors flanking sink each with Matching stained interiors, double trash pull-out right of sink, lazy susan’s. 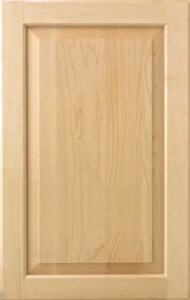 Contemporary styling typically incorporates flat, sleek door designs, simple paint schemes and very little adornment. Coupled with stainless steel or brushed nickel accents and contemporary hardware, contemporary styling is both simple and sophisticated at the same time. Options included: Standard #1524 cove crown molding, plywood island back panel, glass prepared doors flanking sink, double trash pull-out right of sink, lazy susan’s. 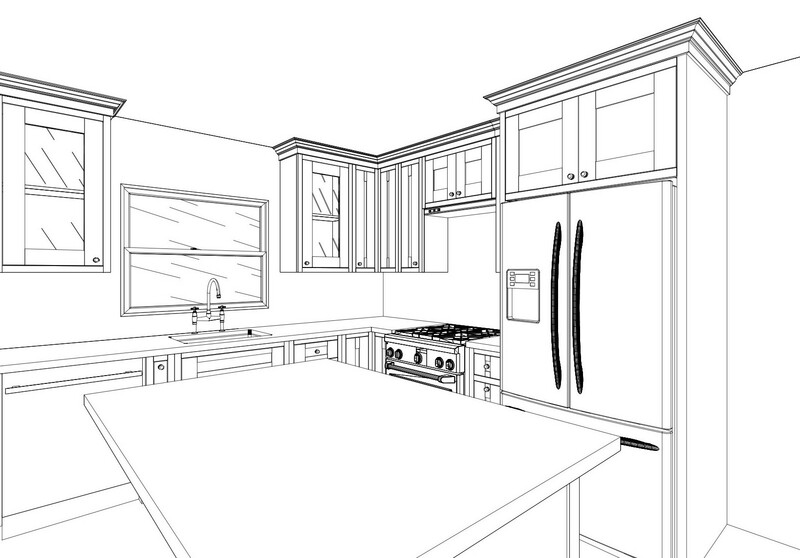 Options included: Standard #1524 crown molding, plywood island back panel, glass prepared doors flanking sink each with Matching stained interiors, double trash pull-out right of sink, lazy susan’s. 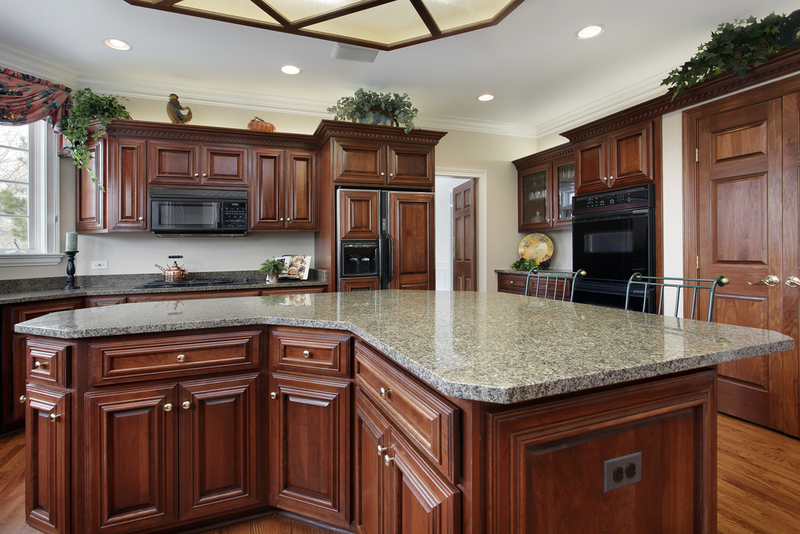 Options included: Standard #1524 crown molding, upgraded wainscot door panel island back, glass prepared doors flanking sink each with Matching stained interiors, double trash pull-out right of sink, lazy susan’s. 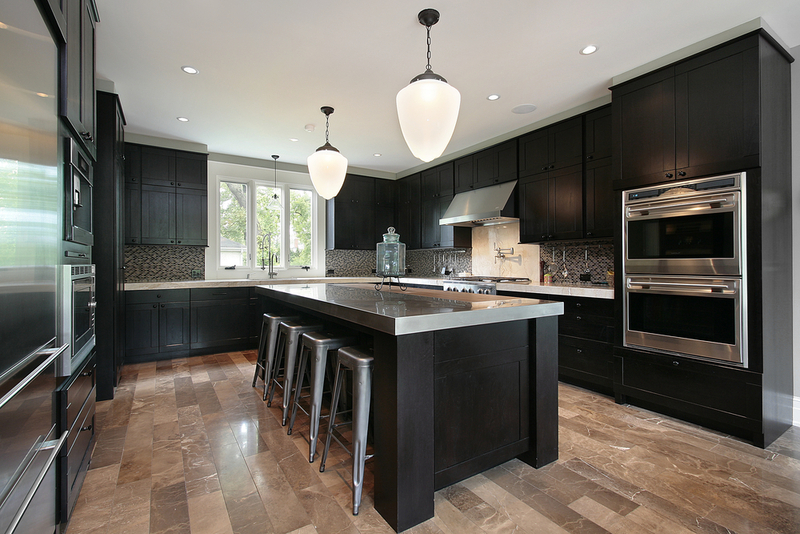 Transitional styling borrows from several different types of design and typically uses different colors. 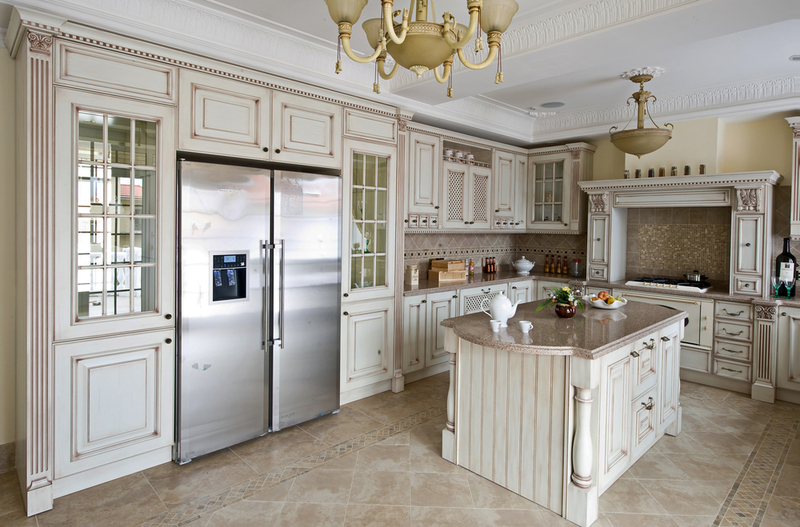 For instance, combining a shaker style door with beaded inset cabinetry, a glazed finish and different counter top materials is a common 'transitional' approach to kitchen design. 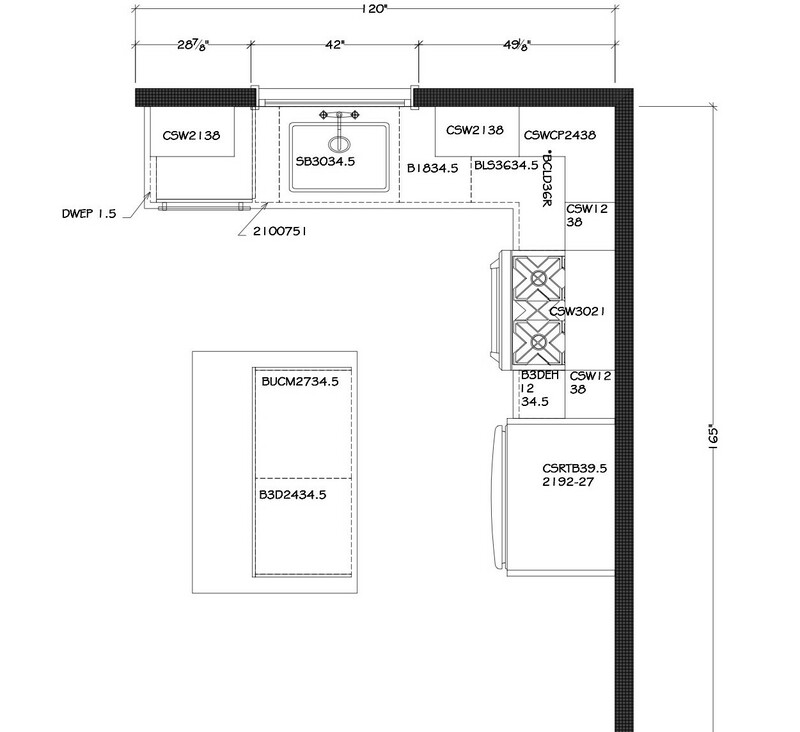 Options included: Standard #1238 crown molding, plywood island back panel, glass prepared doors flanking sink, double trash pull-out right of sink, lazy susan’s. 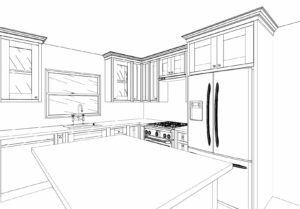 Options included: Standard #1238 crown molding, plywood island back panel, glass prepared doors flanking sink each with Matching stained interiors, double trash pull-out right of sink, lazy susan’s. 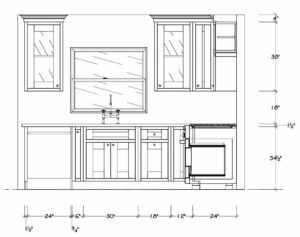 Options included: Standard #1238 crown molding, upgraded wainscot door panel island back, glass prepared doors flanking sink each with Matching stained interiors, double trash pull-out right of sink, lazy susan’s. 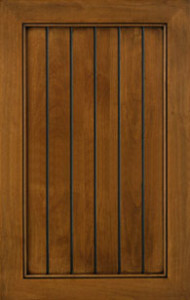 Arts and Crafts exudes the simple, flat, squared off looks popularized by classic architects such as Frank Lloyd Wright. 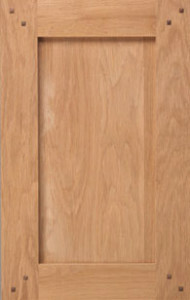 Inset doors with Quarter Sawn oak is a common example, but regardless, the doors are always simple flat panel designs with very little fanfare, often incorporating pegs in the corners. Options included: Standard #1529 crown molding, plywood island back panel, glass prepared doors flanking sink, double trash pull-out right of sink, lazy susan’s. 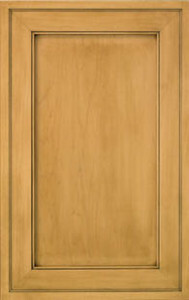 Options included: Standard #1529 crown molding, plywood island back panel, glass prepared doors flanking sink each with Matching stained interiors, double trash pull-out right of sink, lazy susan’s. Options included: Standard #2324 crown molding, upgraded wainscot door panel island back, glass prepared doors flanking sink each with Matching stained interiors, double trash pull-out right of sink, lazy susan’s. Farmhouse styling brings back the warmth and comfort of early America. 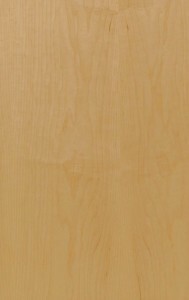 Inset or beaded inset is quite common and the door designs are always simple and understated. 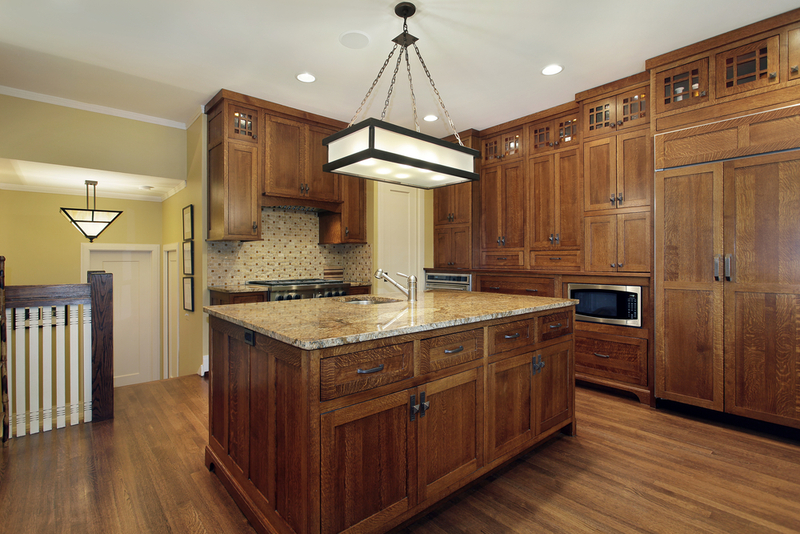 Use of graceful design touches like valanced base cabinets and bead board accents further enhances the farmhouse feel. 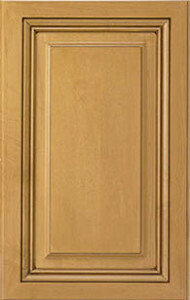 Typically, painted finishes prevail in this style. Euro Country focuses on heavy embellishment. 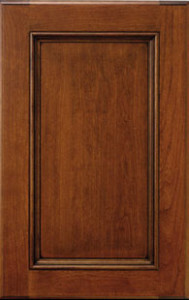 Detailed moldings, heavy carvings/legs, glazed finishes and beefy, applied molding doors are common in this design style. 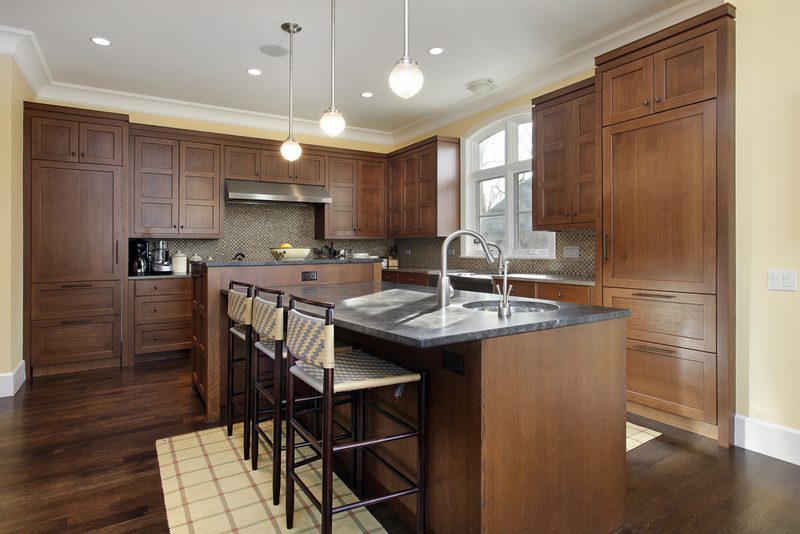 Typically, smaller kitchens can feel heavy and overwhelming in this design style, so be mindful of your available space when designing. 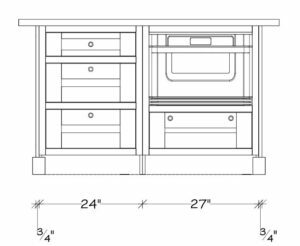 Options included: Standard #619 crown molding, plywood island back panel, glass prepared doors flanking sink, double trash pull-out right of sink, lazy susan’s. 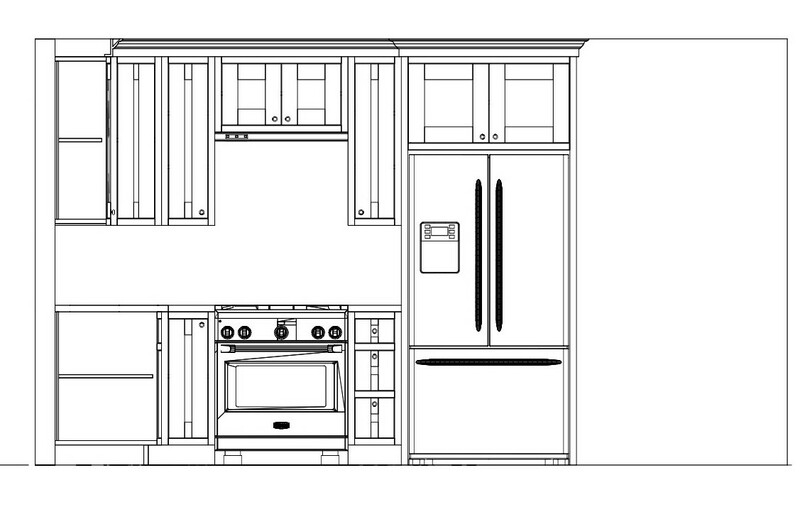 Options included: Standard #24 crown molding, plywood island back panel, glass prepared doors flanking sink each with Matching stained interiors, double trash pull-out right of sink, lazy susan’s. 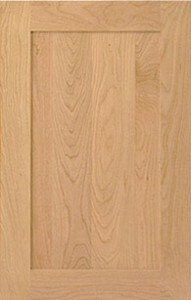 Perhaps the most popular of all styles, shaker is pure simplicity. 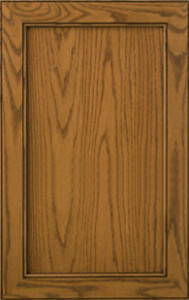 Painted woods or traditional American woods like Cherry and pine are common in Shaker styling. 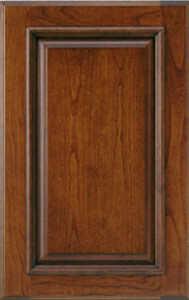 Doors are always flat panel and crown moldings are either simple or even non existent. 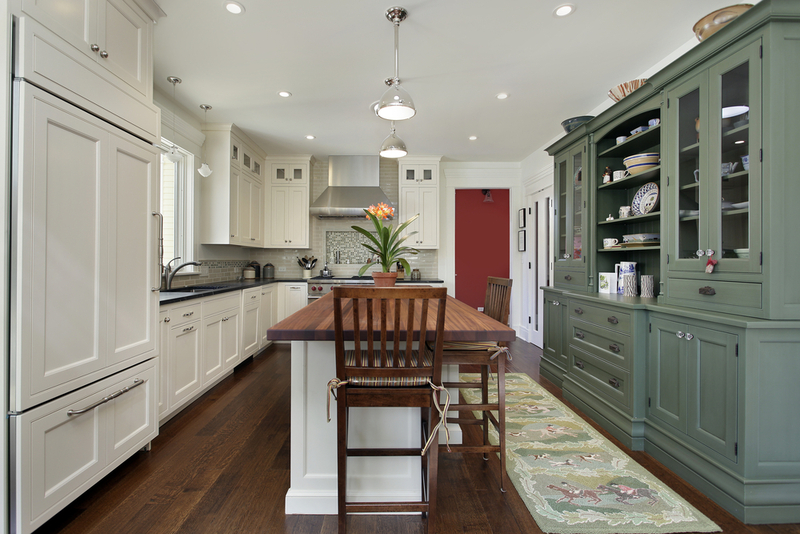 The Shaker culture detested anything that brought too much attention, so keep it simple!